For our recent trip to Spain my husband and I decided to start by with Madrid. 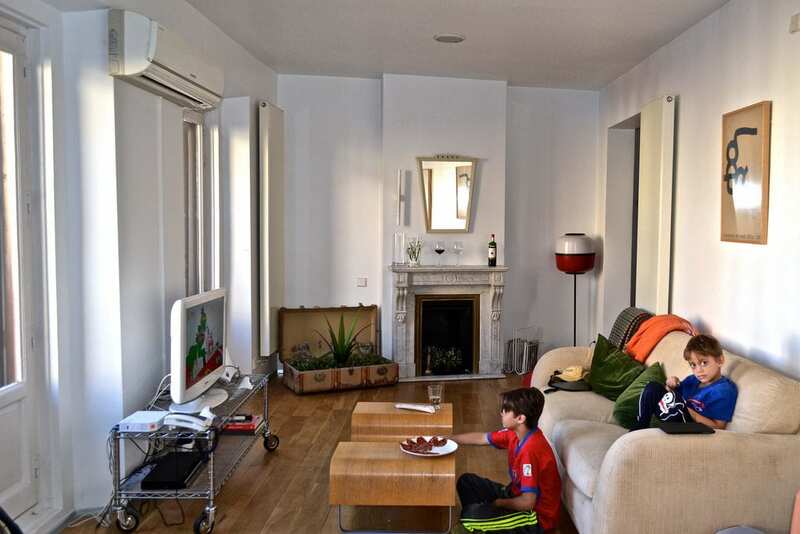 While we were searching for the perfect accommodations in the city, a friend recommended checking out a service that offers apartments all over Spain and in 105 other countries around the world for short stays. Working with them was a great experience and they helped me find one of the most perfect apartments imaginable for my family. There are few things more comforting that being in a strange city and finding a friendly face. I learned this when my family and I finally walked into our apartment after traveling for over 15 hours from Guatemala to Madrid, Spain. It has been over 20 years since the last time I visited Europe and this time it felt completely different because I brought my boys with me. One of the things I do differently now has to do with our accommodations. I learned that staying in apartments (homes away from home) is the best way to go. Madrid is a huge city! Huge. But I already had an idea of what I wanted to do in it even before we arrived. However, when I started to read about all of the options for places to stay, I felt my head was about to burst. But one of my friends who had just been in Spain (not in Madrid) talked to me about a service called Only-Apartments. She used it for her family’s stay and highly recommended it, so I contacted them. Lucia was my contact person. Thanks to all of her help and expertise (she’s a madrileña) we ended up finding one of the best choices for locations and apartments I could have ever imagined. As they say, it never hurts to ask. So among my prerequisites I mentioned Los Austrias neighborhood of Madrid and we ended up landing in it. Fernando, the apartment’s owner, was waiting for us when we arrived. And all I will say is that after staying in his place, the bar was raised so high, I will expect way too much from the other places we stay in from now on. 1. A large platter of Iberian Jamons (now that I have been in Spain for a while, I know that this is an expensive treat). 3. Wine –It was a lovely gesture to have it waiting for us upon arrival. 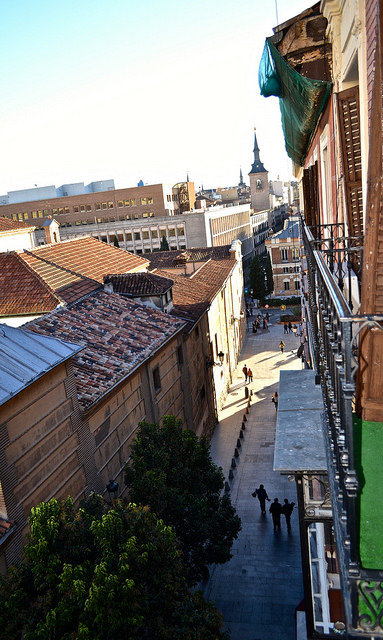 Los Austrias is one of the oldest neighborhoods in Madrid. The area is full with tiny plazas, cervecerias, tapas bars, tons of shops of all kinds, pedestrian streets, but most importantly, loads of fun. We loved finding something interesting to see, do and taste on every corner. Even before we got there I located the places we had to visit. But once you get there you immediately find out what is must do’s and sees. 1. Metro – A metro station is one of the best features to have near the lace you are staying. We were literally half a block away from it. However, the location was so central, that we barely used it. 2. 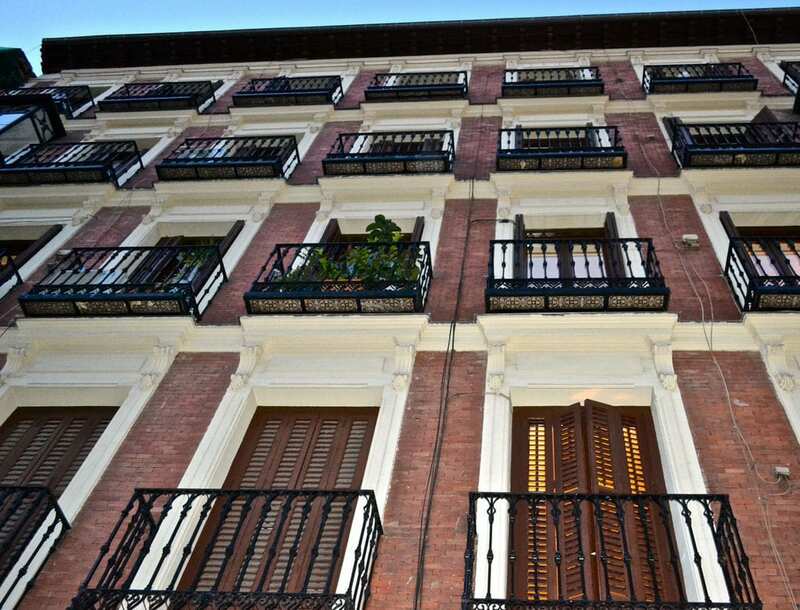 Puerta del Sol – This is the very heart of the city. It’s said that all distances in Spain are measured from this area. The place is sooo alive! There are street performers, shops, restaurants, bars, people watching and more around it. 3. Attractions – Madrid is full of things to see. So our list of things to do might be totally different for yours. No matter where we wanted to go, the attractions were all super close. The apartment is huge. We could easily live in it if we ever decided to move to Madrid. We were all so comfortable. What makes it different is its unique layout. When you enter, you walk into a large living room with tons of doors that open up to the street below. There were also small balconies so you can look down. My boys spent most of the time in the living room while I enjoyed the views from the office. I also spent tons of time making endless amounts of food for them. To the left you see a bedroom door. In it you find a queen sized bed and office space. To the right you see a separate dining room which is connected to the kitchen. The kitchen looks as if it was just redone. It is very modern. Off the kitchen is the first of two bathrooms. Once you leave the kitchen, in a completely separate area is the main master bedroom. It also has a large master bath with a bathtub and a huge walk in closet with washing machine (a great feature when traveling with kids). There was plenty of privacy for everyone. Only Apartments was founded in 2003 by Elisabet and Alon. They decided to rent their apartments in a different way. 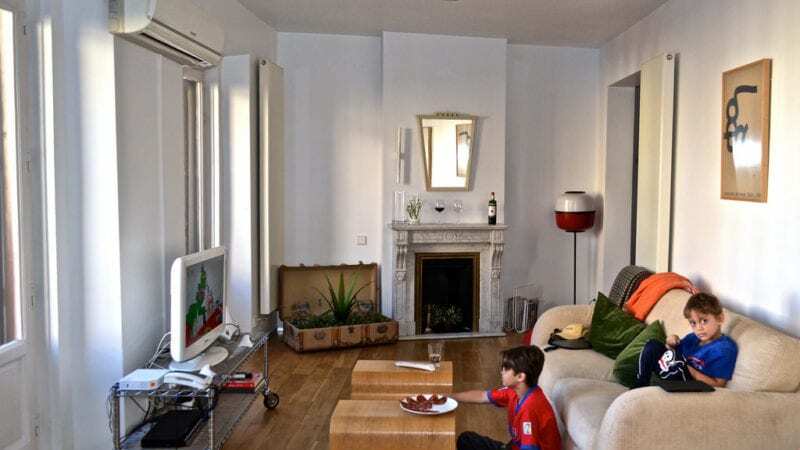 The idea is to rent apartments for short stays as an alternative to hotels. They started accepting other assignments and by the end of the first year they already had 40 apartments on their listings. They went international in 2005 by listing an apartment in Paris. They are currently working with up to 30 thousand apartments located in over 106 countries.